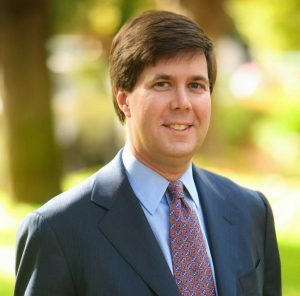 James Millar is the Founder and President of SkyBridge Associates, a firm that creates the platforms needed for leaders to build authentic relationships and share valuable insight with one another. James believes in the power of great conversations, and has led more than 150 roundtable meetings since 2004 for networks of executives and board directors in the United States, Canada and Europe. We asked him about his recently published book, Building Bridges, and how best to successfully network. 1. 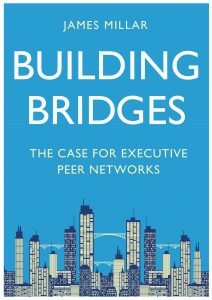 Tell us a bit about your book Building Bridges: The Case for Executive Peer Networks, and what inspired you to write it. A few years ago, I had an epiphany. I was standing on the top floor of a midtown Manhattan office building after leading a three-hour roundtable meeting with about fifteen executives. As I looked out the window, it dawned on me that there were at least a dozen executives in each building who would benefit from their own conversations like the one we had just finished. And there were hundreds of buildings! But here’s the thing: few executives knew they were missing anything. It was like life before the iPhone. We didn’t need a smart phone — didn’t even ask for one — because we didn’t know it was an option. In the same way, I realized in that moment that most executives were doing without a critical leadership resource. They didn’t know that a well-designed, well-executed peer network was an option. After thinking deeply for many years about the power and design of distinctive peer networks, it was finally time to share my insight and make my case to others. I asked myself two questions: Why am I writing this? And why would someone want to read it? As I reflected, a vision emerged. I saw an executive tossing a small, attractive book into a bag as they dashed to the airport, reading it cover-to-cover during the 45-minute flight from Boston to New York. Design criteria flowed from this vision. The book had to be substantive and interesting, but no more than 10,000 words. It had to ‘sound’ like me — reflecting my personality and the passion I feel for the case I am making. And it had to be easy to carry and consume, whether in physical, eBook or audiobook format. 2. Within Building Bridges, you state that over the course of your professional career you discovered that leadership is more of an art than a science – can you elaborate on this? Most of us would agree that the pace of change is accelerating. Leaders need to anticipate change and prepare their organizations to embrace new realities — by seizing opportunities and avoiding risks. But good leaders also appreciate the interconnected nature of the challenges they are navigating. They look at seemingly simple problems in the context of a larger, complex system. Of course, leadership always involves people: customers, colleagues, employees, suppliers, competitors, investors, media and other important stakeholders. So all leadership work is inherently complex. Too much is unknowable. There is no reliable leadership checklist, no universal leadership equation. In the face of increasing complexity, a great leader must think like an artist: identifying and experimenting with new approaches, incorporating feedback and refining their beliefs and their tactics with a flexible, curious, creative and open mind. 3. If you could give one piece of advice to readers about how to network successfully and authentically, what would it be? My advice is simple: Don’t network. Build a great network instead. Too many networking activities feel transactional, inauthentic and maybe a little desperate. Instead of spending time networking (a verb), it’s far better to focus on building — or finding — a strong professional peer network (a noun). These are not the same. Just think about what we gain from any network: access to new ideas and new people, candid feedback, emotional support and a sense of community. It’s a cliché to say that it’s lonely at the top, but many people do experience feelings of isolation as they advance in their careers. Many leaders value informed — but distinctively different — perspectives from their peers when addressing challenging issues. Over time, regular discussions with a peer network go beyond ‘what?’ questions (present), to include richer questions like ‘so what?’ and ‘what if?’ (future) or ‘why?’ (past). As trust builds, group norms discourage insincerity and posturing, and reinforce vulnerability and authenticity. An effective peer network doesn’t have to be large. Often 15–20 people are enough. But it must be thoughtfully designed and nurtured to deliver optimal results. 4. Are you planning on writing anything else soon? I expect I will write another book one day, though I haven’t yet decided whether to expand on the themes in Building Bridges or go in a totally different direction. It took more than 50 years for me to publish my first book, so any follow-up will be a few years off — at least! I’m also anxiously awaiting Yuval Noah Harari’s forthcoming book, 21 Lessons for the 21st Century, which will be released later this summer. Learn more about SkyBridge Associates via their website.